↑ Ishtiaq, M. (1999). 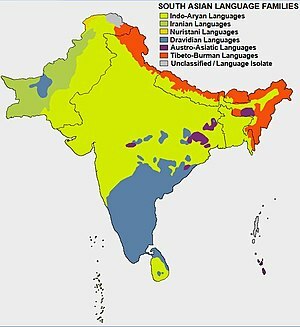 Language Shifts Among the Scheduled Tribes in India: A Geographical Study. Delhi: Motilal Banarsidass Publishers. pp. 26–27. ISBN 9788120816176. Retrieved 7 September 2012.